BHP Billiton is a multinational organization. It’s headquarter is situated in Melbourne, Australia. The organization was established in 2001 due to the merger of Australian Broken Hill Proprietary Company Limited and Anglo–Dutch Billiton plc. The organization main segments are Petroleum, Copper, Iron ore and coal. The major activities are exploration & development of oil & gas, mining of copper, silver, lead, zinc, uranium, gold and further process the extracted minerals. It is also involved in the transportation of the products & minerals. 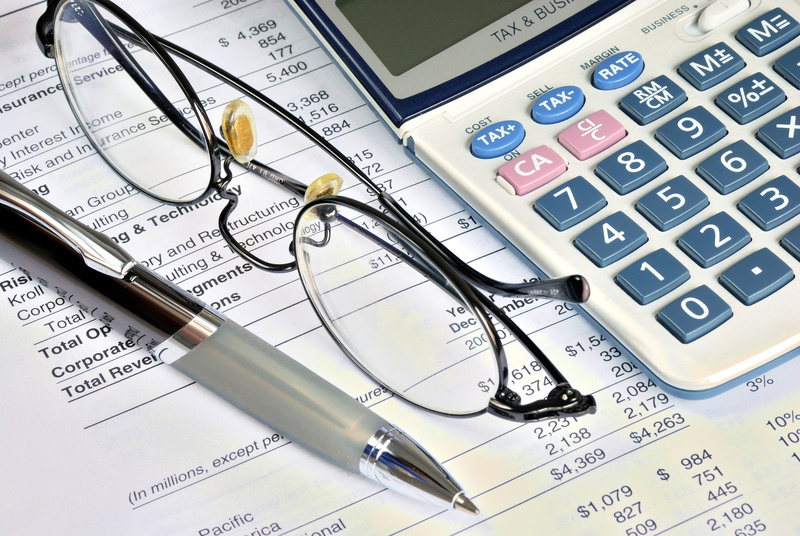 This report will make a detailed analysis of the accounting framework of the organization. Through the report, a detailed investigation about the various financial & non-financial factors of accounting, social & environmental accounting, factors of corporate governance etc. will take place. Overall, an insight into the contemporary accounting issues and financial disclosure of the organization will take place through this report. International Accounting Standards Board (IASB) – the board was established in 2001. It is an international board established with the purpose to develop and maintain international financial reporting standards. These accounting standards are mandated by more than 100 countries including the European Union & two-third countries of G-20 (Pacter & P, 2014). Mission- The mission of the board is to bring transparency, accountability & efficiency in the international financial market through IFRS standards. International financial reporting standards - IFRS are the set of accounting standards used for the preparation of financial statements. These are developed and managed by International Accounting Standards Board (IASB). The main agenda behind the formation of global accounting standards is to facilitate the financial comparison and for providing consistency in the accounting conceptual & framework (Ali & Ormrod, 2016). GAAP- This acronym denotes to “Generally Accept Accounting Principles”. These are the general accounting rules which must be adhered to while preparing the financial statements. GAAP developed & maintained by Financial Accounting Standards Board (FASB). Examples of GAAP principles are cost principle, matching principle (Agoglia, et. al., 2011). BHP is one of the largest organizations of Australia in terms of market capitalization and is listed on the Australia Securities Exchange. This organization accounts for the fourth largest organization in Australia in terms of revenue. The organization is the backbone of Australia. It produces major energy products & minerals, required for fulfilling the basic requirements of the organization (Annual report). The current market capital of the organization is 134. 57 Billion. The organization has issued around 3.21 billion equity shares and the current market share price is 26.52 AUD. According to the Annual report (2016), the organization has a market value of US $ 71.2 billion and the revenue earned was the US $ 30.9 billion as on 30th June 2016. Buy Back program- In the AGM of 2014 & 2015, the shareholders of the organization has authorized the board of directors to buy back around 211,207,180 shares, which accounted for about 10 percent of the BHP Billiton plc’s. But the directors have not utilized this option and, the directors, again, have taken authority from shareholders (Annual Report, 2016). Sustainability Accounting – This accounting is also known as Social & Environmental Accounting, corporate social reporting or non-financial reporting etc. The activities included in the segment are society, environment & economic performance of an organization (Bebbington et. al., 2014). Direct contribution- the organization produces numerous natural resources which itself helps in the sustainable development of the organization & society. The organization hugely contributes to the infrastructure, telecommunications, transportation & energy. These are the core requirement for the development of any nation. The organization constantly manages potential risk of the production processes and the impact of the manufactured products over the society & environment. Other economic contributions- the organization channelize the economic growth of the economy by the production of basic products, and other economic developments such as employment, innovation processes, safeguarding of environment etc. all these indicators help in the sustainable development of the nation. Direct payment of taxes to government indirectly, helps in the development of the nation and its people. Social investment framework- social framework includes voluntary social investment through BHP Billiton Foundation. The charity makes a number of contributions through programs on climate action, quality education, and reduction in inequality etc (Sustainability report, 2016). Figures & facts- the total economic contribution of the organization for the financial year (2015-2016) was the US $26.7 billion. The Economic contribution includes products & services manufactured, employment provided taxes & royalties. And the voluntary contribution in the community segment is the US $178.7 million (Sustainability report, 2016). 2. UK companies act, 2006. 3. IASB issue IFRS in order to prepare financial statement and helps in analysing the information effectively. 4. Australian Accounting Standards Board (AASB) as equivalent with the IFRS is utilized in the organization. AASB is the board responsible for development & maintenance of accounting standards (Pozzi & C. 2010). 5. 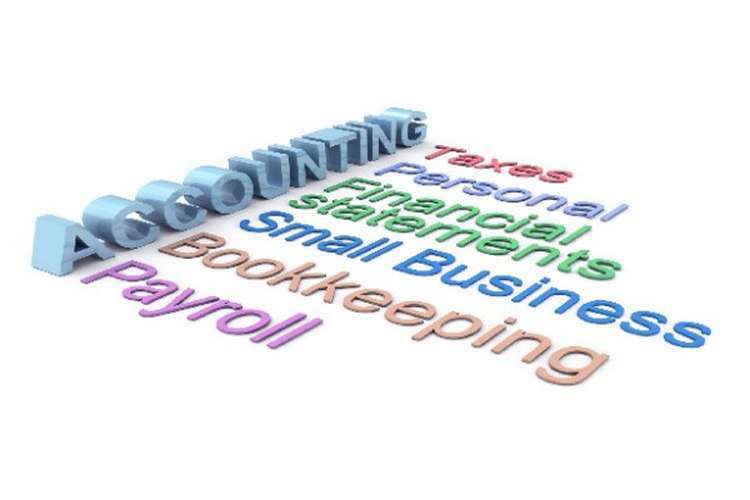 Accounting principles used as a going concern basis, items measured as on the basis of historical cost etc. 6. The organization adopted all the amended accounting standards and follows them accordingly while preparing their financial statements. This principle signifies that a concern is established for ever and exclusion of any member or director of the organization does not affect the establishment of the organization unless it has applied for liquidation. The items are measured on the historical basis except for derivative financial instrument and other financial assets and few non-current assets which are considered as held-for-sale. According to this principle business financial statement get prepared for a particular period. The period can be monthly, quarterly, semi-annually and annually. The principle basically answers two questions regarding the generation of revenues i.e. when the revenue is generated and how much revenue is generated. This amended standard will modify the classification and measurement of the financial instrument. This standard recognizes the need of maintaining a single account for all the leases taken by the lessees. 1. Organizational Board of Directors make use of analyzed financial information for different purposes such as financial decision making, decisions in order to improve organizational performance, setting future plans, etc. (Tehrani, et. al., 2012). 2. Equity shareholders make use of the analyzed financial information as with the help of that information they make their decision whether to hold their share in organization or not. 3. There are lot many other stakeholders that make use of the analyzed financial information for their decision making purpose and it make inclusion of organization creditors, customers, debtors, government, etc. So, the objective behind financial analysis is to extract the useful financial information to make decisions in effective manner (Tehrani, et. al., 2012). Ratio Analysis- this includes set of formulas for assessing the financial performance of the organization (Adewuyi, 2016). Profitability ratios- these are the ratios used for analyzing the profitability of a business. Every business is established with a motive to earn profits. Therefore, these ratios help in determining the profit earning capacity of an organization on the basis of various factors (Adewuyi, 2016). Net profit Margin= this ratio determines the overall profitability of the organization in terms of various factors such as net sales (revenue). The following formula will help in analyzing the earning of profit over the volume of sales. Analysis- the net profit margin has significantly dropped from positive 0.2 to -0.2 from 2015 to 2016. This shows that the company is suffering from losses in 2016. The reason behind the significant losses is weakening of commodity prices and other exceptional charges. Analysis- the return on equity has significantly reduced from 0.07 to -0.11. This is a drastic reduction from the last year which shows that there is a significant reduction in the net income of the organization. And, therefore, the return on equity has reduced largely. Efficiency ratio- these ratios are used to measure the efficiencies and effectiveness of the organization in deploying its capital & assets. Analysis- There is no change in the assets turnover ratio. This shows consistency in the utilization of the assets of the organization. the ratio is constant at 0.3 for both the years. Analysis- The current ratio has mildly changed from 1.3 to 1.4. This marginal change is from due to increasing in the current assets of the organization and reduction of the current liabilities. The current assets have increased by 1345. The major increase is in cash & cash equivalents. This shows that the liquidity of the company has increased and the company is able to pay off its current liabilities. BMP Billiton is listed on the ASX stock exchange. The ASX stock exchange major functions are to investigate adherence to operating rules and to promotes corporate governance among all the Australia’s listing organizations. The organization believes in the fact that governance is not only about compliance of laws and regulations rather it is about believing in high-quality governance for long- term value & worth. Remuneration committee- the committee main activity is to develop and maintain the remuneration policies for the organization. Nomination & Governance committee- this committee is formed to monitor the renewal and succession planning. This also monitors the adherence of compliances required by the organization. Sustainability committee- this committee is formed to oversee the social and environmental accounting of the organization. This also monitors the contribution made by the organization for the economic and social benefits of the organization. 1. The organization has established a committee known as Operations Management Committee (OMC), for deciding the remuneration in the money or another form, for the directors of the organization. This committee includes both executive and non-executive directors of the organization. 2. For the compliance of buy- back of shares, the organization has duly conducted the Annual general meeting (AGM) and taken the authorization from the owners for taking approval to buy back its own shares. The organization has decided to buy-back around 10% of its share capital, though it was not yet executed. And, the organization has again taken authorization in the year 2016 for executing the buyback programs. 3. Disclosure and Transparency Rules and the UK Financial Conduct Authority’s Listing Rules, are adhered by the organization for compiling the listing requirements. The organization has been adversely affected by the unfortunate tragic event of Samarco iron ore operations. The failure of the Samarco’s Fundão dam was due to the release of the mine tailings. Due to this tragic event, 19 labors died. Apart from providing monetary assistance, it is highly required to provide set up a committee and analysis the reasons behind such failure (Miranda & Marques, 2016). In the financial year 2016, the organization has earned huge losses. And the financial condition has been adversely affected. Therefore measures needs to taken for improving the revenues and profits of the organization. Company’s economic contribution towards the economy is quite appreciable. The organization is doing immensely for various issues such as education, inequality etc. but, it should more focus on the investing for environmental concerns such as afforestation, greenery, saving of wildlife etc. It should focus on installing devices which reduce the harm on the exploration of natural resources & minerals. With the overall analysis of the financial & non-financial parameters of the organization, it is learned that the company has been adversely affected due to weak commodity prices. The organization financial performance has become quite low and has earned a net loss of US $6.4 billion. It is concluded that financial year, 2016 has been really tough for the company, apart from lower prices, the tragic incident of Samarco’s Fundão dam has also questioned the organization’s capability for safety & risk assessment. But, the company’s top executives are quite optimistic regarding the future and are putting their best efforts for improving the financial performance of the organization. The report has minutely investigated the current market value, financial & non-financial performance, compliances of corporate governance etc. of the organization. Adewuyi & A.W.A.W., 2016, “Ratio Analysis of Tesco Plc Financial Performance between 2010 and 2014 in Comparison to Both Sainsbury and Morrisons”. Open Journal of Accounting, 5(03), p.45. Bebbington, J., Unerman, J. and O'Dwyer, B., 2014, “Sustainability accounting and accountability”. Routledge. Bhp billiton, 2016, “Annual Report”, Bhp Billiton. Bhp billiton, 2016, “Sustainability Report”, Bhp Billiton. Miranda, L.S. & Marques, A.C., 2016, “Hidden impacts of the Samarco mining waste dam collapse to Brazilian marine fauna-an example from the staurozoans (Cnidaria)” Biota Neotropica, 16(2). Pacter & P., 2014, “Global Accounting Standards-From Vision to Reality”, The CPA Journal, 84(1), p.6. Pozzi & C. 2010, “Accounting handbook 2010: incorporating all Australian Accounting Standards for financial reporting periods ending 30 June 2010, as at 15 November 2009”, Pearson Australia, French's Forest, N.S.W. Tehrani, R., Mehragan, M.R. and Golkani, M.R., 2012. A Model For Evaluating Financial Performance of Companies by Data Envelopment Analysis: A case study of 36 corporations affiliated with a private organization. International Business Research, 5(8), p.8.